Applying engineering controls to airborne engineered nanoparticles (ENPs) is critical to prevent environmental releases and worker exposure. 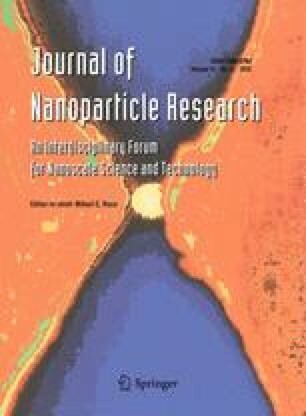 This study evaluated the effectiveness of two air sampling and six air cleaning fabric filters at collecting ENPs using industrially relevant flame-made engineered nanoparticles generated using a versatile engineered nanomaterial generation system (VENGES), recently designed and constructed at Harvard University. VENGES has the ability to generate metal and metal oxide exposure atmospheres while controlling important particle properties such as primary particle size, aerosol size distribution, and agglomeration state. For this study, amorphous SiO2 ENPs with a 15.4 nm primary particle size were generated and diluted with HEPA-filtered air. The aerosol was passed through the filter samples at two different filtration face velocities (2.3 and 3.5 m/min). Particle concentrations as a function of particle size were measured upstream and downstream of the filters using a specially designed filter test system to evaluate filtration efficiency. Real time instruments (FMPS and APS) were used to measure particle concentration for diameters from 5 to 20,000 nm. Membrane-coated fabric filters were found to have enhanced nanoparticle collection efficiency by 20–46 % points compared to non-coated fabric and could provide collection efficiency above 95 %. Authors would like to acknowledge the financial support from the Nanoscale Science and Engineering Centers for High-rate Nanomanufacturing (CHN) funded by the National Science Foundation (Award No. NSF-0425826), the NIEHS Grant (ES-0000002), the Center for Nanotechnology and Nanotoxicology at Harvard School of Public Health, the Program of Research Education for Undergraduate students associated with CHN, the Swiss National Science Foundation (Grant No. 200020-126694) and the European Research Council.